The glow from a friendly hug or a thoughtful compliment is always welcome but can be fleeting. All too soon after, we get pulled back into the ‘real world’ which often consists of solving problem after problem, draining us of our energy and positivity. 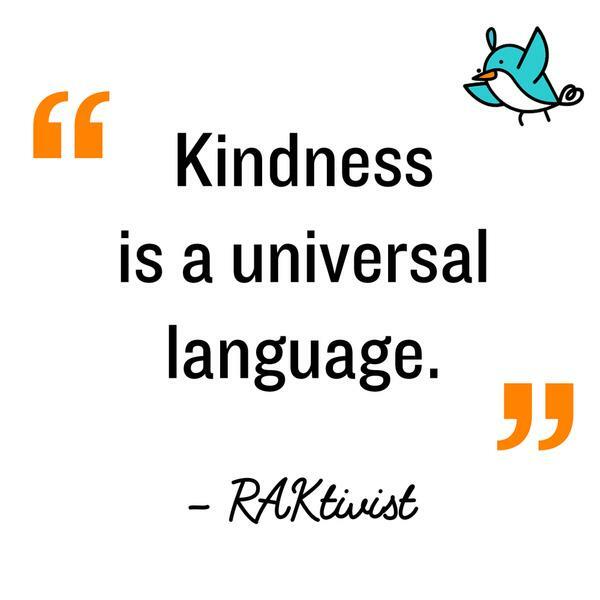 However, what if the average day involved more acts of kindness? How would that impact us and others around us? You might already lead a pretty wonderful life by practicing mindful thinking and expressing gratitude. Or you might be wondering how you might be able to feel more connected and happier in life. Whatever your situation, it’s always a good time to consider how you can create more moments of happiness for others around you. We can do so by pushing ourselves to leave our comfort zones and connect with others through kindness, which helps builds positivity in our community. The Dalai Lama teaches we should extend love and compassion beyond our immediate social circles. Most of us recognize that we need more harmony and understanding to create peace in the world, but this is just the first step. The practice of altruism and kindness is what leads to a greater sense of community. Cities all over the world including Denver have seen large-scale growth, yet many still feel disconnected and lonely. The Dalai Lama believes a focus on material development has caused us to neglect our basic emotional needs of love, kindness, cooperation, and caring. We’ve forgotten the “essential humanity” that nurtured the development of our societies, initially based on people helping one another. As social creatures, human beings have best been able to grow civilization by working together. How Can We Bring Kindness Into Our Lives? Not sure where to begin? Acting with kindness is a deliberate choice. If you can make the space for it, you might consider volunteering weekly with a local non-profit like Reading Partners or Denver Food Rescue. You could even start as small as treating your furry loved one to a 'Puppuchino' or shoveling your elderly neighbors’ driveway after the next big Denver snowstorm. Listen to a friend’s predicament without judgment, and instead of reacting to a coworker’s mistake with anger, work with them to figure out a solution. If you’re the type of person who’s always giving towards others but tend to neglect your own needs, remember to extend kindness unto yourself through self-care acts like building a daily meditation practice or scheduling a relaxing massage. You can accomplish so much more for yourself and for others when you’re feeling 100%. Nontraditional celebrations like Random Acts of Kindness Week work as a reminder for us to do something good, no matter how big or small the action. It reminds us that we all have the capacity to help others in some way and that we don’t need a motive beyond simply wanting to create a moment of joy. Random Acts of Kindness Week 2019 sets in motion for us to intentionally act with kindness year-round so we can truly be the difference we want to see.